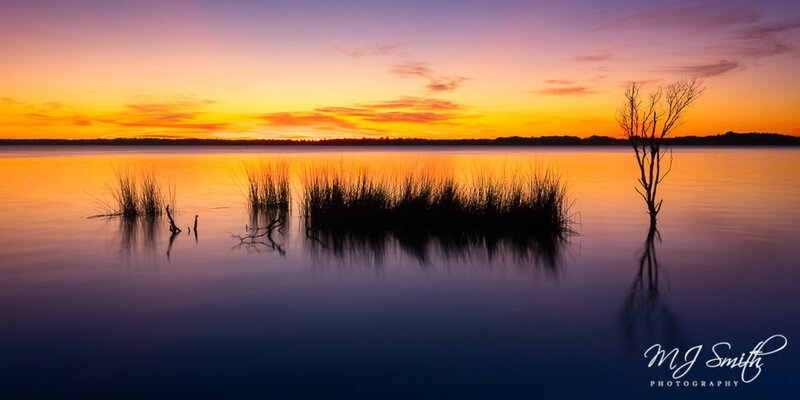 Grahamstown Dam in Port Stephens, NSW, forms the reservoir known as Grahamstown Lake. On this cold March morning the sun is still below the horizon, providing an incredible glow across the lake's surface. The beauty and peacefulness of the moment was only dampened by the hundreds of mosquitos trying to eat me alive. Coffs Creek, Coffs Harbour, greets the Southern Pacific Ocean with Little Muttonbird Island in the distance. At low tide you can walk across most of the creek and find pockets of interesting formations that are randomly created as the wind and tides change. The ripples in the sand are baked by rays of fresh sunlight, giving it an almost liquid gold appearance. 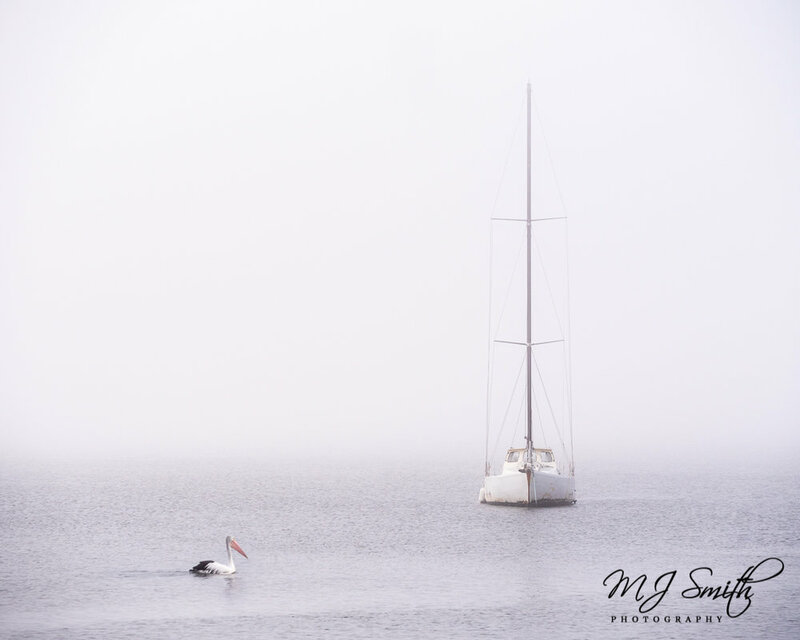 I don't often see heavy fog around Salamander Bay, Port Stephens, so on this morning it was an exciting opportunity to find a very simplistic image that would capture the mood. 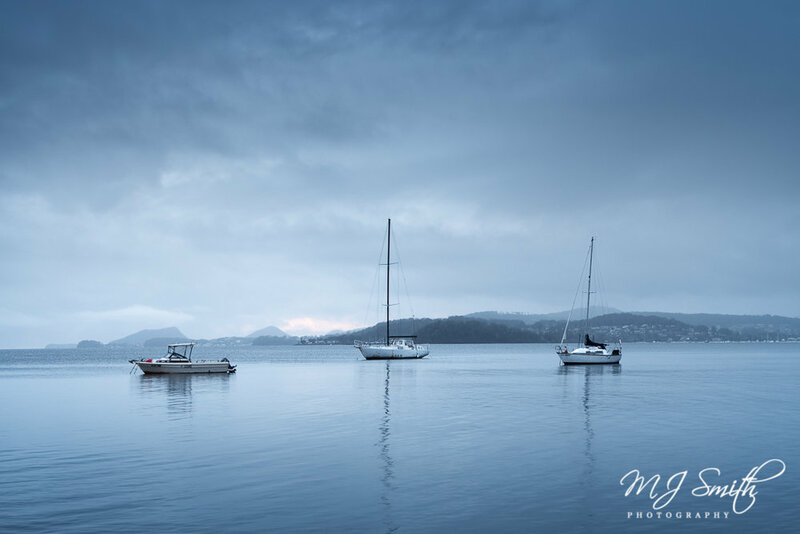 A nearby sailing club proved to be the perfect location. The distant mountains are completely hidden behind the curtain of fog, leaving only a single yacht and Pelican in search of its breakfast to capture the sense of solitude. The sun has set and everyone seems to have headed indoors. The Lake Entrance has suddenly become void of activity. I'm left alone to enjoy not only the peace and quiet but also the glow of a reverse sunset. The soft hues reflecting off the water's surface is so calming. There's a bunch of storm clouds passing over yet there's no rain, no wind, nothing. Everything is so calm and peaceful. I stand here wondering if we are 'in the eye' and it's only a matter of time before everything changes for the worse. It doesn't. I must have stood here for a good 30 minutes just staring into the distance.